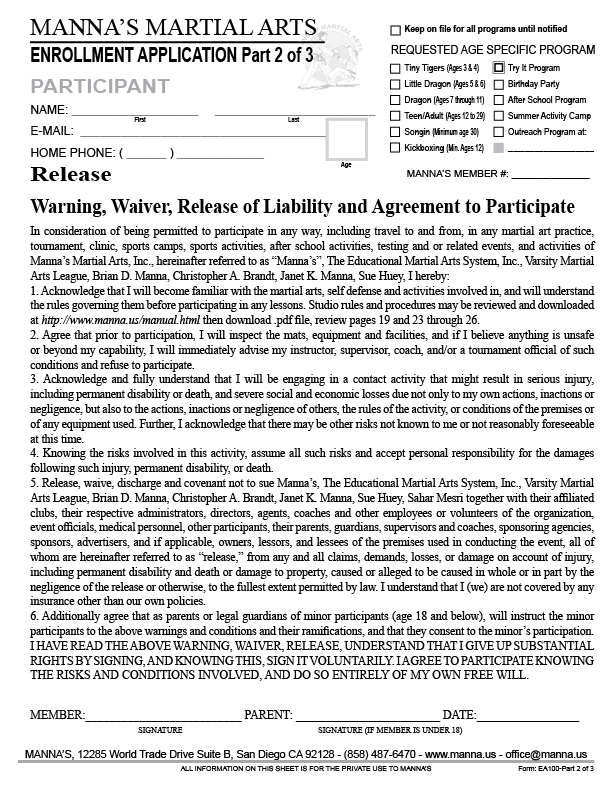 Each participant to the Sports Camps must have a current Release and Consent To Treat form on file at Manna's Martial Arts to participate. Each participant to the Activity Sports Camps are required to complete Enrollment and Permision slip below. Each Week unique, different and Fun!! Select 1, 2, 3, 4 or 5 Days in each of the weeksweek. Drop off/pickup when you want between 7 AM and 6:30 PM. 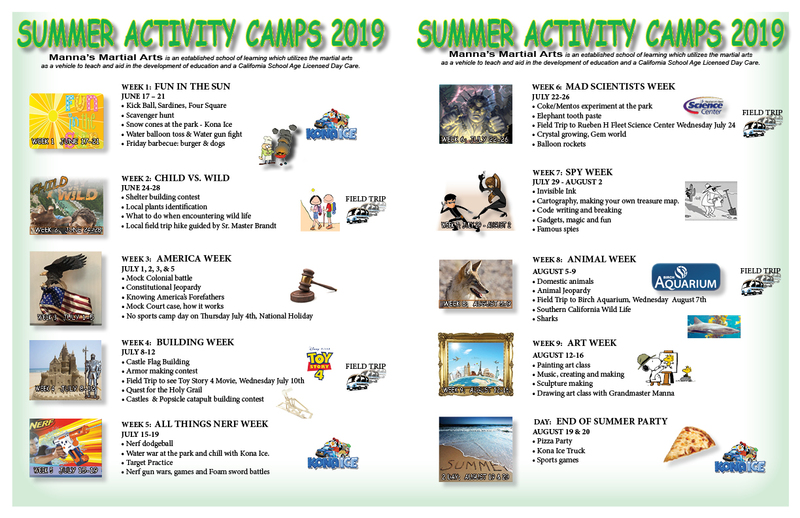 I submit this registration for the All or part of any sports Camp Days at Manna’s Martial Arts, weekly trips to the local outdoor Highland Ranch Park, swim at the Frogs pool and any field trips to assigned locations. If participant is under 18 years of age, a legal age guardian must be in attendance to complete additional registration forms to participate if not already on file at Manna's. 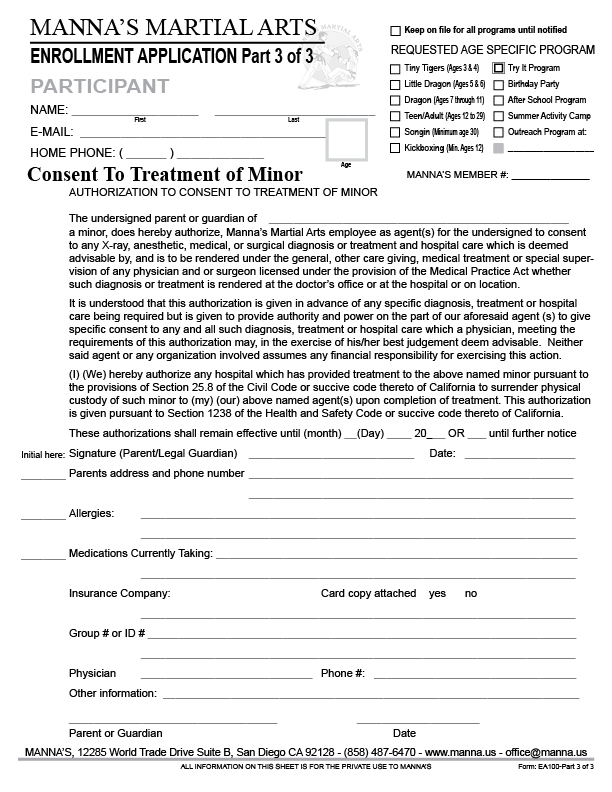 You may elect to print and provide required forms Release and Consent if not already onfile, see left or click links above.